Dan O'Brien is partner in the firm's Cleveland office. His practice focuses on Risk and Claims Management. His five major areas of concentration are in Workers' Compensation, Unemployment Compensation, Alternative Risk Transfer Methods, Establishment of Best Practices Claims Management Programs and the impact of workers' and unemployment costs in a Merger or Acquisition. 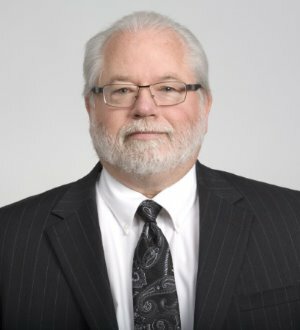 He has over 30 years of experience representing employers before the Industrial Commission of Ohio and the Ohio Bureau of Workers' Compensation (OBWC). He has worked with over 80 organizations in obtaining qualified self-insured workers' compensation programs in Ohio, Michigan and Pennsylvania. Dan's experience includes being the lead consultant on a two year study of the Greater Cleveland Regional Transit Authority (GCRTA) in 1995 and 1996. This study and subsequent program recommendations led to the establishment of a professional risk management function within the GCRTA. Dan has conducted audits of national workers' compensation programs representing the insurance industry, employers, associations and venture capital groups. These audits have included overviews of claims management, reserving practices, settlement practices and litigation management. Dan has established national "best practices" formats for employers and insurers. In addition, he works with clients in the areas of safety compliance with a special emphasis on Occupational Safety and Health Administration (OSHA) and OSHA compliance issues.